Conservatives shift fight against Planned Parenthood from Congress to colleges. 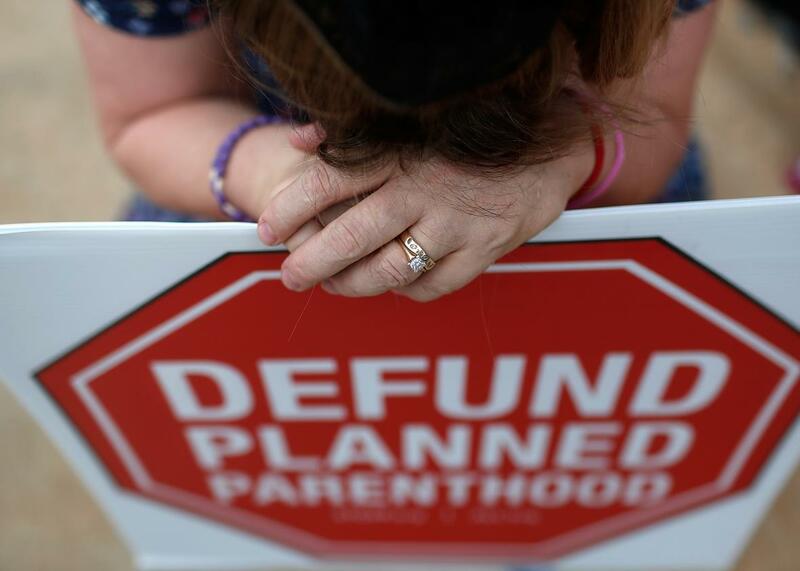 Are Conservatives Shifting the Fight Against Planned Parenthood From Congress to Colleges? A woman protests congressional funding of Planned Parenthood in September 2015 in Washington. After lots of bluster and noise, the House Republicans’ fight to defund Planned Parenthood has petered out. On Tuesday, Minority Leader Nancy Pelosi told Reuters, Republicans in Congress sent her a draft government funding bill that included no language about halting government funding to Planned Parenthood. If Congress doesn’t pass a funding bill by Dec. 11, the government will shut down; Republicans have been threatening to hold the budget hostage past that date if Democrats don’t give up Planned Parenthood funding. Until Tuesday, their commitment seemed ironclad: It’s been speculated that former Speaker John Boehner was ousted by members of his own party partly over his unwillingness to shut down the government over Planned Parenthood. Pelosi thinks the draft bill—which Democrats have turned down over constraints on Syrian refugees, among other provisions—reflects Republicans’ growing awareness that the bit about Planned Parenthood funding “was a loser.” The Congressional hearings intended to expose the organization’s criminal misdeeds came up with nada. “[Republicans] had purposefully taken the Planned Parenthood language out,” Pelosi said. “My understanding is there’s some unease among their members … so I don’t know what they will do.” It’s also possible that the Nov. 27 attack on a Colorado Springs clinic made some House Republicans reluctant to amp up the kind of anti–Planned Parenthood rhetoric (“baby parts” and the like) that appears to have resonated with alleged shooter Robert Lewis Dear. But while Republicans in Congress are quietly backing away from their threats to block women’s health care, conservatives around the country are finding new ways to target Planned Parenthood: through universities. In the Huffington Post, Tyler Kingkade reports that the Faith & Freedom Coalition of Colorado, a conservative religious organization, is suing Colorado State University and a Planned Parenthood facility because the university paid the clinic reimbursement fees for placental tissue for medical research. The Faith & Freedom Coalition claims that the two were conspiring to fund abortions with taxpayer dollars. In September, Republican state legislators successfully lobbied the University of Missouri’s chancellor to rescind a Planned Parenthood doctor’s admitting privileges at the school’s hospital, which could leave the state with just one abortion clinic. Other anti-choice groups are going after universities from the religious angle. DePaul University, a Catholic school, removed Planned Parenthood from a list of volunteering opportunities a few months ago under pressure from Illinois Right to Life. House Republicans may have surrendered the battle over government funding this time around, but they’re fighting their war against reproductive health care access on all fronts.